We take pride in what we have to offer you and have relationships with almost all frame manufactures to bring you a diverse selection of the latest fashions and everyday functional favorites. All our frames come with at least a one-year guarantee against any manufacturing faults. We also carry budget conscious frame and lens packages for adults and children, with a one-year warranty. Call us to make an appointment, or come in today to see all the latest styles and fashions! The eyeglass prescription provided to you by the DeKalb Optometric doctors specifies the value of all parameters the doctor has determined necessary to correct your vision. Single vision prescription lenses correct for your distance, your intermediate or your reading vision and maintain the same prescription throughout the entire lens. At the Eye Care Center our Opticians are trained to assist you with the best available lenses that can be customized to fit your visual and lifestyle needs. Progressive or Bifocal Lenses: Eyes change over time and it isn’t unusual for both the young and old to need progressive lenses at some point in their life. Progressive lenses allow for your vision to be corrected as you change the distance from which you are viewing something. If the fine print on documents is getting harder to read or you’re having to adjust the distance to which you’re reading it, chances are you are in need of progressive or bifocal lenses. Computer Lenses: These lenses prevent a condition called Computer Vision Syndrome (CVS), which includes symptoms of headaches, double vision, dry eye and sensitivity to light for those who work in front of a computer screen all day. Children's Lenses: Lenses made with kids in mind – lighter and more durable lenses to lessen the likelihood the lenses will be damaged during athletic activities or while kids are at play. 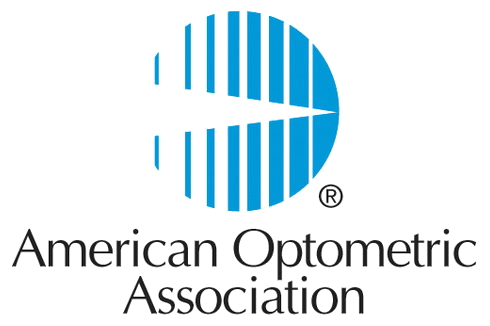 Anti-Fatigue Lenses: These lenses are recommended for 18-40 year-old patients who experience symptoms of tired eyes due to the visual demands of working on computer screens, tablet, and smart phones. They are also recommended for the 35-45 year old patient who is starting to experience reading difficulty but are not ready for progressive lenses. BluTech Lenses: Give your eyes the relaxation they deserve. BluTech lenses provide protection from UV rays, sources of harmful high-energy blue light such as fluorescent lighting, computer screens and personal electronics, while also giving you soothing vision. Anti-Reflective Lenses: Improve your vision, reduce eye strain and makes your eyeglasses look more attractive. The benefits are due to the ability to virtually eliminate reflections from the front and back surfaces of your eyeglass lenses with this treatment. Photochromic Lenses: See life in the best light with light reactive lenses. These lenses are clear (or nearly clear) indoors and automatically adjust from clear to dark when exposed to sunlight. Polarized Lenses: Polarized lenses are highly recommended by our staff as their sunglass lens of choice. The lenses of polarized sunglasses reduce glare reflected at some angles off shiny non-metallic surfaces such as water. Whether you are considering wearing contact lenses for the first time, or if you are looking to improve the performance of your current lenses, we specialize in maximizing your comfort and vision. Contact lenses are an ideal complement to eyeglasses, and DeKalb Optometric has nearly every contact lens design and material available, including lenses that can be disposed of yearly, monthly, weekly and daily. We fit contact lenses for every type of person and lifestyle. We prescribe contacts for patients with astigmatism, bifocals, and dry eyes. At the DeKalb Optometric, all contact lens fitting and follow-up care is provided by our doctors rather than by technicians. Our contact lenses also come direct from the manufacturer or authorized distributors so you don’t have to worry about counterfeit product or overseas distribution channels. Plus, our prices are so competitive you can continue to purchase your contact lenses through DeKalb Optometric, so you get the value and service you expect by the doctors you trust. What is the best lens for me? The doctor will determine which lens design is best for you. This decision is based on many factors including: your prescription, the curvature of your eye, how dry your eyes are, your visual demands at work and play, and your lifestyle. Will I be able to see as well as I do with my glasses? Yes, and in some cases, you may see better with contacts than glasses. Patients often tell us that they see more accurately with contact lenses because the lenses act as if they are part of your natural eyes. If I couldn't wear contacts before, can I wear them now? Very few patients are unable to wear contact lenses because there are so many different types of lenses. Technology has continually improved the quality of lenses, so patients with astigmatism and bifocals can now wear contacts. A child can begin wearing contact lenses at any age; however, a child is ready to wear lenses when the parents decide that their child is responsible enough to personally care for the lenses. If I have astigmatism, will I be able to see well with contacts? Yes, and some patients even see better with contacts than their glasses. Gas permeable contact lenses can even decrease your astigmatism by "smoothing" out the cornea, or front surface of your eye. Hybrid designs deliver the comfort of a soft lens and the quality vision of a gas permeable lens. If I wear bifocal or progressive glasses, will I be able to read through my contacts? Gas permeable bifocal or multifocal. If you are fit with disposable or planned replacement contact lenses and the lenses are in unopened boxes that can be resold to another patient, a full cash refund equal to the original cost of the lens materials will be refunded (within 60 days of purchase) If your lenses cannot be resold, you can receive a cash refund equal to 50% of the original cost of the lens materials or you can be issued a credit equal to 100% of the original cost of the materials (within 60 days of purchase). Contact lens professional fees (charge for expertise and time spent by doctor or assistants during fitting process) are not refundable.